The following video explains the idea of a tapped pickup as they are typical for the vintage Schecter Dream Machines, and demos the sound of the Walk of Life pickups – my replicas of the Schecter F520T / F521T pickups. 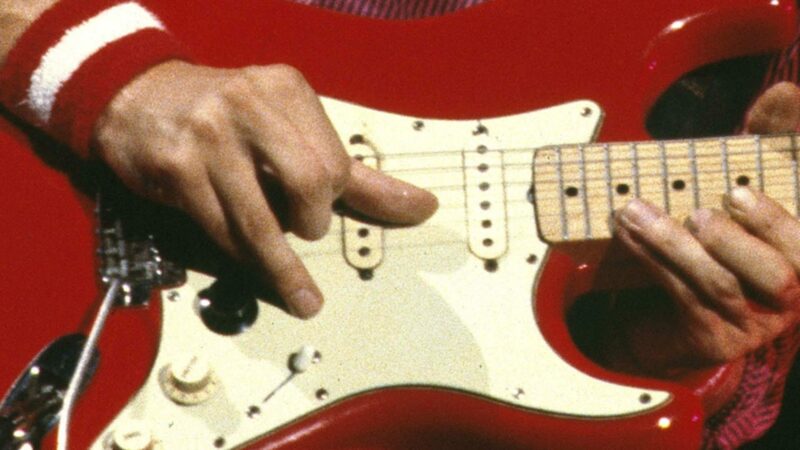 These are the pickups that Mark Knopfler plays in his red Schecter Telecaster – the one used for Walk of Life, and also in the black Schecter Tele that he used for e.g. Solid Rock. After a short inroduction, you can listen to all the eight different sound combinations that are possible with this type of pickups in the second half of the video. I love how the guitar looks ! gorgeous ! and the sounds is great too ! the TR solo on a telecaster, great ! like in 81 ! it begins with “Father and son theme”, then some chords from “she’s gone”, I believe, but after ? what is it ? improvisation ? composition from yourself ? or something famous I didnt recognize ? I like it a lot ! very melancolic. Yes, the guitar sounds really good. The combination of the Walk of Life pickups and brass bridge makes that Schecter sound. The part between 3:50 and 5:35 is a melody I have in my head for some time, nothing finished yet. >> The part between 3:50 and 5:35 is a melody I have in my head for some time, nothing finished yet. They sound great. One observation, though. I have a dream machine like MK’s black one. The push pull pots operate the other way round, i.e. higher output when the pots are pressed down.